Jazz Choreography Enterprises, Inc. presents New York Jazz Choreography Project for its semiannual dance concert devoted exclusively to jazz. JCE features works from emerging to established choreographers. Since 2007, Artistic Directors Marian Hyun and Merete Muenter have presented more than 50 choreographers and 150 dancers from the US, Japan, South Africa, and Germany. 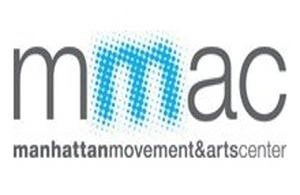 The performances will be presented at Manhattan Movement & Arts Center. The studio is located at 248 West 60th Street between Amsterdam & West End Avenues. **This performance of the New York Jazz Choreography Project is made possible in part with public funds from the Manhattan Community Arts Fund, supported by the New York City Department of Cultural Affairs in partnership with the City Council and administered by Lower Manhattan Cultural Council. All of JCE’s programs are made possible in part by contributions from the Iris & B. Gerald Cantor Foundation and our corporate sponsors, the Long Island Development Corporation and Salon Ishi.